Mother, sing me a song that will ease my pain, Mend broken bones, Bring wholeness again. Catch my babies When they are born, Sing my death song, Teach me how to mourn. Show me the Medicine of the healing herbs, the value of spirit, the way I can serve. Mother, heal my heart So that I can see the gifts of yours that can live through me. Apachean religious stories relate two culture heroes (one of the Sun/fire:"Killer-Of-Enemies/Monster Slayer", and one of Water/Moon/thunder: "Child-Of-The-Water/Born For Water") that destroy a number of creatures which are harmful to humankind. Medicine men (shamans) learn the ceremonies, which can also be acquired by direct revelation to the individual (see also mysticism). Different Apachean cultures had different views of ceremonial practice. 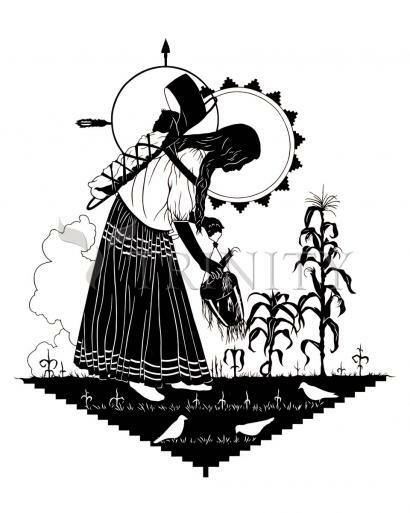 Most Chiricahua and Mescalero ceremonies were learned through the transmission of personal religious visions, while the Jicarilla and Western Apache used standardized rituals as the more central ceremonial practice. Important standardized ceremonies include the puberty ceremony (Sunrise Dance) of young women, Navajo chants, Jicarilla "long-life" ceremonies, and Plains Apache "sacred-bundle" ceremonies. Certain animals are considered spiritually evil and prone to cause sickness to humans: owls, snakes, bears, and coyotes. Many Apachean ceremonies use masked representations of religious spirits. Sandpainting is an important ceremony in the Navajo, Western Apache, and Jicarilla traditions, in which shamans create temporary, sacred art from colored sands. Anthropologists believe the use of masks and sandpainting are examples of cultural diffusion from neighboring Pueblo cultures. The Apaches participate in many spiritual dances, including the rain dance, dances for the crop and harvest, and a spirit dance. These dances were mostly for influencing the weather and enriching their food resources.